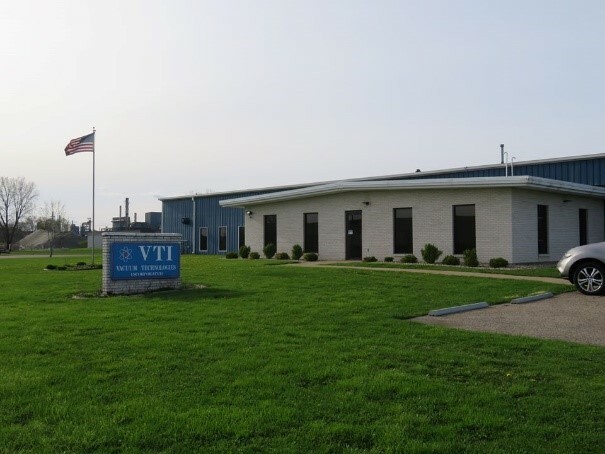 VTI Celebrates 25 Years of Service | VTI Vacuum Technologies, Inc.
On May 25, 1993, VTI Vacuum Technologies Inc. opened its doors to provide quality aluminum coating on plastic enclosures for EMI / RFI / ESD shielding in the medical and military sectors. Our journey began with a core group of dedicated, cross-trained workers and one vacuum metalizing chamber to physically vapor-deposit an aluminum coating. In 1994, the company continued to support our growing medical and military customer base by adding a second chamber for additional metalizing capacity. To help it create metalized mask components, VTI acquired a 3-axis Bridgeport CNC in 2000. In 2013, VTI added a second 3-axis Haas CNC to increase masking quality in the process of metalizing plastic enclosures. Currently, VTI produces nearly 100% of all components used to create masks for the metalizing process and form-in-place gasket fixtures. The evolution of VTI metalizing masks has grown rapidly with improvements in design and materials. New developments help us maintain high-quality standards. In addition, VTI generates concept tooling for customers, which permits flexibility and changes in the early stages of program development and allows us to process lower-volume parts. In 2003, VTI acquired its first 3-axis robot for dispensing conductive form-in-place gaskets. Our first project was a plastic enclosure for a medical device and involved metalizing with aluminum coating and then dispensing a silver nickel form-in-place gasket around the sealing perimeter of the part. In 2006, we introduced a top coat that passivates the aluminum coating applied to plastic enclosures. This value-added process carried VTI’s capabilities into the aerospace market and provided extra services to the military sector. That same year, VTI adopted a 6-axis robot for dispensing conductive form-in-place gaskets on vertical and horizontal surfaces. Our first project was a plastic enclosure for an industrial device that featured a special coating. We added a conductive form-in-place gasket to the enclosure. At that time, VTI offered the form-in-place gasket service as an add-on value for plastic enclosures receiving an aluminum coating. Now, VTI offers form-in-place gasket services to customers whose projects include plastic enclosures that need only an environmental seal; machined metal components that require an environmental seal or EMI seal; and customers looking to replace O-rings and die-cut gaskets. To meet increasing demand, VTI currently has (1) 3-axis robot and (4) 4-axis robots. The company added (1) 5-axis robot in 2018. As VTI grew and developed its metalizing and form-in-place processes, we knew it was time to take the next step in quality. In 2007, VTI became ISO 9001-certified. In 2017, we became certified to ISO 9001:2015. A key component in our continuous improvement process has been the VTI MRRIT (Metalized Rapid Response Improvement Team). In 2015, we assembled a core group of individuals to focus on increasing the quality of the metalizing process while reducing and containing costs. In the team’s first year, they improved more than 100 process items. Today, the need for EMI / RFI / ESD shielding and form-in-place gasketing continues to increase. Electronic devices are woven into our everyday lives, and the need to protect them from EMI and environmental threats remains paramount. Rest assured; VTI will be here to help protect the electronic devices we rely on every day. We look forward to working with all our customers in the medical, military, aerospace, industrial, engineering design house, metal shops and injection molding sectors. Thank you for 25 wonderful years!